This lieu dit is relatively high up the slope on the Puligny side of Meursault and Patrick Javillier does a great job of capturing the terroir which is amply demonstrated if you compare this wine to the Clos du Cromin. Initial nose is fairly closed, but there is some apple and pear fruit. On the palate its a combination of citrus and apples. Good concentration. Medium+ body. A pleasant line of honey peppers the lips. 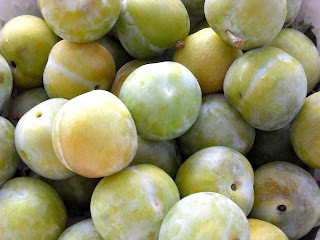 Enjoyable greengage (reine-claude) flavour. It is long, rounded and good. Scores 23-25/30 for a Meursault.